An engineer by training, Kazimierz “Casey” Swistun began his career in his native Poland supervising maintenance issues in a frozen-food plant. He arrived in the U.S. in 1984 at the age of 32, and initially found work on a siding crew. “I noticed very early that the siding and home-repair business did not have a very good reputation, so I realized this was something I could improve,” Swistun says. Founding Swistun Inc. in 1985, he has specialized in gutter and siding installation, and repair. Q: What are the most common problems that you see? 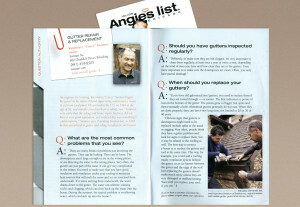 Q: Should you have gutters inspected regularly? 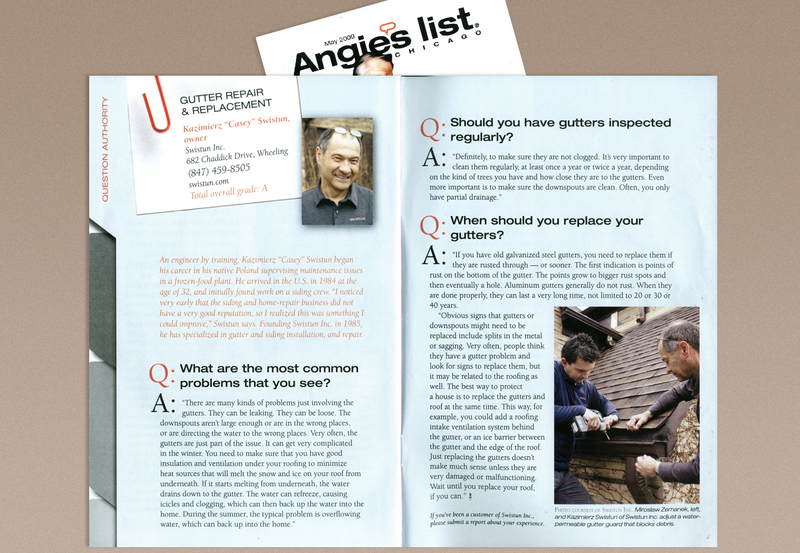 Q: When should you replace your gutters? A: “If you have old galvanized steel gutters, you need to replace them if they are rusted through--- or sooner. The first indication is points of rust on the bottom of the gutter. The points grow to bigger rust spots and then eventually a hole. Aluminum gutters generally do not rust. When they are done properly, they can last a very long time, not limited to 20 or 30 or 40 years.